That’s what the evidence says! So what better way to raise money for Jonathan’s voice? The B Natural choir and special guests donated the proceeds of their recent “A taste of Spring Concert” to Jonathan’s Voice. An amazing £678.84 was donated to the charity. 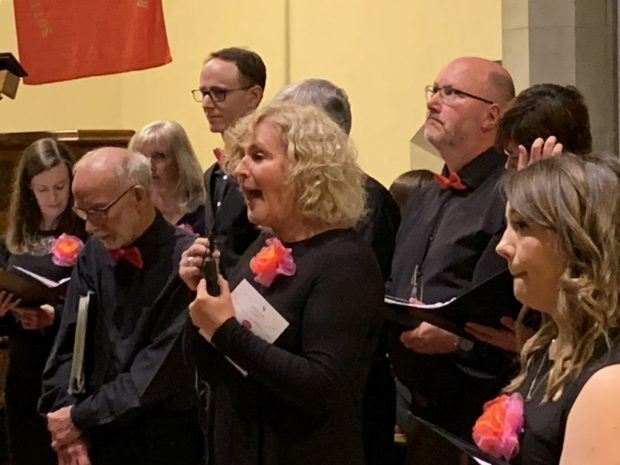 Thanks to them all, to those who donated and to Angela who gave a brief talk about the charity at the end of the concert – can you spot our logo on the back of the programme? Let’s continue to spread the word about the importance of mental health and well-being – and singing too!